Looking for a little light reading? OPA will keep you up-to-date with articles and magazines that relate to the parks and recreation industry! 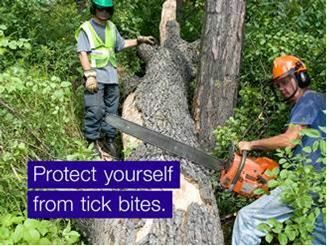 The Lyme Disease Stakeholder Resource Group has developed a Lyme disease resource tool kit to help you and your staff stay safe from ticks this summer. Download your resource kit by clicking the following links: 8.5" x 11" poster, 11" x 17" poster, fact sheet, story and PowerPoint presentation. Check out the Vertical Stormwater Management issue of the Living Architecture Monitor magazine.